You know what’s handy? Waking up in the morning, firing up your phone/computer and being able to scan a super quick (but curated) rundown of the best of what lies ahead. So here it is, our list of fun things to do in Los Angeles for today, Saturday, March 23, 2019. 1. [7 a.m.] Puppies & Planks Festival comes to Los Angeles State Historic Park for an afternoon workout experience that’s inclusive to our canine friends. That’s right this event is BYOD (bring your own dog) there will be plenty of dog-friendly activities including a 3K Dog Walk, ‘Ruff Yoga’ with Crunch Fitness, and special treats from Petco at the Dog Carnival. 2. [10 a.m.] This Saturday might be the last time Royce’s Arcade Warehouse will host an open house. The arcade charges $5 for an all day free play pass and is a popular weekend event for children and adults. The retro arcade is working on staying open in the future but facing regulatory issues with the city that will result in a temporary shutdown of the space. 3. 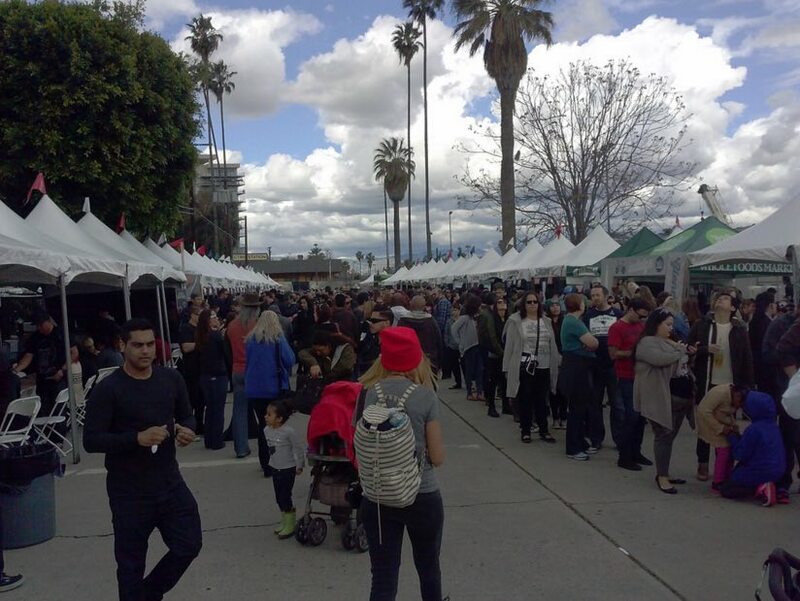 [11 a.m.] The fifth annual Vegan Street Fair Los Angeles returns to North Hollywood March 23 – 24 with an array of vegan-friendly eats from over 200 vendors. 7. [4 p.m.] The Stoli Key West Cocktail Classic, the world’s largest LGBT bartender competition and show takes over The Abbey Food and Bar this Saturday. The first 100 people (with a rsvp) to check in at 4 p.m. get to try every cocktail. 9. [various] The Egg House visits Los Angeles March 20 – 24 for an egg-themed, 12,000-square-foot pop-up multi-sensory experience showcasing a series of installations and activations around egg themed creations. 10. [11 a.m.] Norton Simon Museum will host a botanical scent workshop inspired by Impressionist and Post-Impressionist paintings in the galleries. #SPONSORED GIVEAWAY: We’re conducting an Instagram giveaway for TWO TICKETS to the Magic Bus Experience, returning to Los Angeles this April 19-20. Check this post if you want to enter to win and get more details on the event. It’s free to enter! Entry ends this Monday, March 25.